After you’ve set the perfect date, make sure your guests won’t miss your big day! 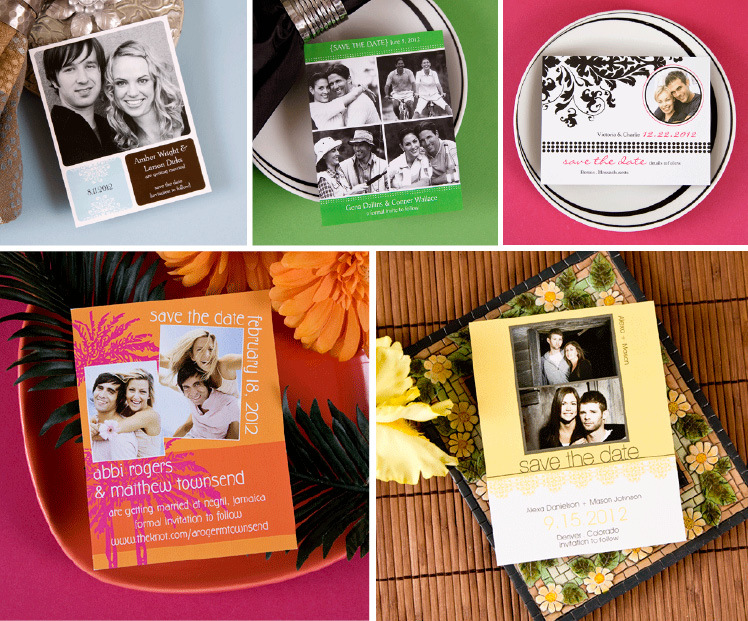 Send out these cute and modern ‘save the date’ magnets by Carlson Craft! With bright and bold colors and prints, these magnets allow your guests to put their reminder in a place they’re sure not to forget! For a personal touch, choose your favorite photos of you and the groom-to-be from your engagement photo session. Contact Announce, Invite & Delight in Fort Worth, Candle Wick in Bedford or Invitation House at their new location in Colleyville to design your custom reminders. Don’t forget!